Read reviews of dog grooming books. These guides range from how to groom a dog at home to how to learn dog grooming as a profession. Check out the reviews on dog breed grooming books. Regardless of whether you are a new dog groomer, an experienced dog groomer or a pet owner wanting to do your own grooming, I’m sure you will find some gems in these popular eBooks and dog grooming guides. If you have a favorite title that you would like to suggest to others interested in grooming, please leave your suggestions in the comment section below. When it comes to grooming different dog breeds, it pays to have some tricks up your sleeve that will help to encourage good behavior in your canine client. Of course, if you are grooming your own dog then you will already know the level of obedience you can expect in your pooch. But, if your pet is a little “agro” when it comes to the sometimes challenging experience of being clipped and groomed, then it is possible that you have already given up and decided to hand him over to a professional groomer for his spa treatment once a month. Either way, knowing how to train a dog is a must-have skill for dog owners. And as for groomers, faced with an endless number of different breeds, each breed with its own peculiarities, this book will provide priceless guidelines and tips that can be used in the salon. I have reviewed many books, software packages and tools but I must say it is not often that I come across a book that gets such glowing reviews and endorsements from people who have purchased and implemented its ideas. The book, From Problems to Profits: The Madson Management System for Pet Grooming Businesses, is written by Madeline B. Ogle, PhD. 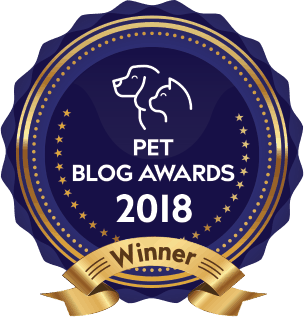 The reader is given the benefit of years of experience as the author describes how she established her thriving, well-renowned pet grooming business. The Business Guide to Pet Grooming-2nd Edition by Sam Kohl, provides a very detailed guide on how to set up, run and manage a pet grooming business. It covers operating a grooming business from home as well as running a grooming business from a salon employing staff.